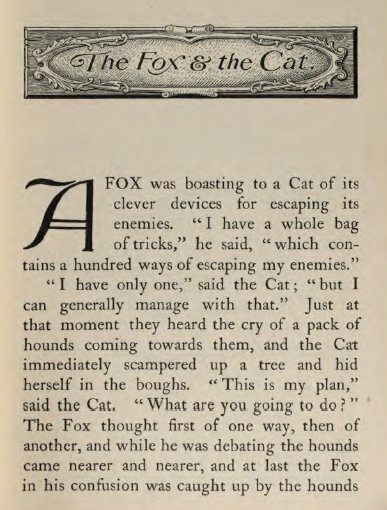 A Fox was boasting to a Cat of its clever devices for escaping its enemies. "I have a whole bag of tricks," he said, "which contains a hundred ways of escaping my enemies." 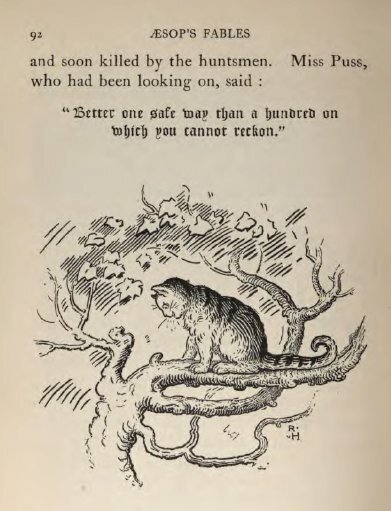 "Better one safe way than a hundred on which you cannot reckon." 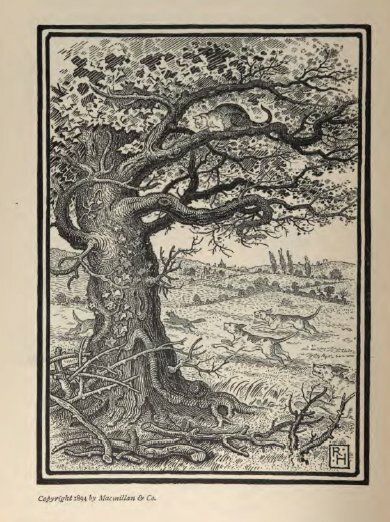 The Fables of Aesop, by Joseph Jacobs with illustrations by Richard Heighway (1894). The page images come from Google Books. The digitized text comes from Project Gutenberg. You can purchase this inexpensive Dover edition, The Fables of Aesop by Joseph Jacobs from amazon.com.